Dr. Amento founded MMRI in 1995 to advance the understanding of the molecular and cellular basis of autoimmune and connective tissue diseases and cancer with the goal of fostering the translation of laboratory science to clinical care. In addition to being executive director of MMRI, Dr. Amento is currently Adjunct Clinical Professor of Medicine (Immunology/Rheumatology) and of Dermatology at Stanford University School of Medicine. Dr. Amento is an internationally recognized expert on the cellular and molecular biology of connective tissue disorders. He is the author or co-author of more than 160 published manuscripts, reviews, chapters and abstracts. Prior to his association with Stanford, he was an Assistant Professor of Medicine at Harvard Medical School and an Assistant Physician in the Arthritis Unit at the Massachusetts General Hospital. Dr. Amento has participated in the founding of biopharmaceutical organizations developing novel therapeutics, Connetics Corporation (formerly Connective Therapeutics, Inc.) and Theracos, Inc. where he served as founding CEO and President. Dr. Amento also serves as a Board member or Scientific Advisory Board member of several privately held biotechnology companies. Dr. Amento received his M.D. degree from Albany Medical College and his B.S. degree from Boston College. He was Intern, Resident and Chief Resident in Medicine at the University of Connecticut Health Center, after which he was a Clinical Fellow in Pulmonary Medicine at Yale University School of Medicine. He completed his training in rheumatology at Harvard Medical School and the Massachusetts General Hospital followed by postdoctoral research fellowships. Clinical Professor of Rheumatology and Dermatology, Stanford University School of Medicine. Co-founder, Connetics Corporation (formerly Connective Therapeutics, Inc.) a specialty pharmaceutical company, which developed and commercialized medical dermatology products based on novel topical foam-based delivery systems and oral medications. Co-founder, Theracos, Inc. a preclinical and clinical research stage company focused on development of treatments for inflammatory and metabolic disorders. Head of Immunology Program, Genentech Inc.
Dr. Amento is the senior author or co-author of more than 160 published manuscripts, reviews, chapters and abstracts. A select list of journal articles can be viewed here on myNCBI. A highly skilled biochemist and molecular biologist with particular expertise in signal transduction. Dr. Welihinda has two decades of experience in successfully building research programs and managing molecular biology core facilities. His research includes studying novel drug targets and the mechanism of action of drug candidates in disease areas such as inflammation and diabetes. The primary focus of Dr. Welihinda’s current research is delineating the mechanism by which modulation of the adenosine A2A receptor may be utilized for therapeutic benefit in inflammatory diseases. Dr. Welihinda was a postdoctoral fellow in the Howard Hughes Medical Institute of the University of Michigan, where he initiated studies on the unfolded protein signaling pathway in Dr. Randal Kaufman’s laboratory that culminated in the cloning of the sensor of unfolded proteins and identifying key signaling molecules downstream of the sensor. He held staff and faculty positions within the Howard Hughes Medical Institute, the Department of Biological Chemistry and the Department of Internal Medicine at the University of Michigan and has served in senior research positions at Galileo Pharmaceuticals, Sangstat Medical Corporation, Genzyme Corporation and Theracos, Inc. He received his Ph.D. from Medical College of Ohio in Biochemistry and Molecular Biology and his M.S. in Biology from Dalhousie University. He is author on over 21 peer-reviewed manuscripts. Senior Scientist, Preclinical Development, Theracos, Inc. 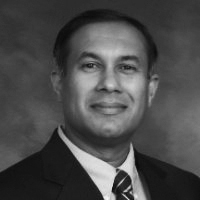 Principal Scientist, Galileo Pharmaceuticals Inc.
Dr. Welihinda is author of more than 49 published manuscripts, reviews, chapters, and abstracts. A select list of journal articles can be viewed here on myNCBI. DNA Encoding the Novel Mammalian Mrotein, Ire1p. RJ Kaufman, W Tirasphon, AA Welihinda. US Patent 7,439,061B2. Extensive experience in analytical and biophysical chemistry with a broad background in a wide variety of instruments and techniques used for solving both qualitative and quantitative problems in biology and chemistry. Dr. Rydzewski is currently a Senior Investigator and Director of the Analytical Chemistry Laboratory which provides analytical support for all scientists within the institute. Dr. Rydzewski’s professional experience includes a broad range of applications in the area of analytical chemistry for small and large molecules including mass spectroscopy, NMR and HPLC. She has over two decades of experience and has been Analytical Group Leader at Calyx Therapeutics as well as Staff Scientist in the analytical chemistry department at ALZA Corporation. Dr. Rydzewski received a BS in Chemistry from California State University, Stanislaus. She received her Ph.D. in Chemistry with an emphasis in biophysical chemistry from the University of California Santa Cruz, and completed a postdoctoral fellowship in the area of structural biology at The Scripps Research Institute. Dr. Rydzewski is the senior author or co-author of more than 10 published manuscripts, reviews, and abstracts. A select list of journal articles can be viewed here on myNCBI. Dr. Bruno’s research focus is directed to cancer pathways and new proteomics technologies. He has extensive life science research experience in academia with mastery of techniques in areas as diverse as single molecule fluorescence microscopy, yeast genetics, and mass spectrometry. Dr. Bruno joined MMRI faculty to initiate the independent phase of his research career and establish his laboratory. He is conducting research into small-molecule responsive biological networks involved in the onset and progression of cancer, especially breast cancer. 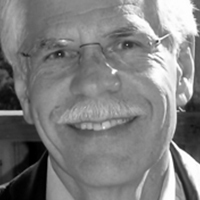 Prior to joining MMRI, Dr. Bruno developed novel techniques to identify native protein-small-molecule interactions using mass spectrometry with Professor Michael Snyder in the genetics department at the Stanford University School of Medicine. During this time, he discovered a novel small molecule drug candidate for the treatment of triple-negative breast cancer. Dr. Bruno was awarded a postdoctoral fellowship in biochemistry and biophysics at Yale University after completing his Ph.D. in gene regulation at the University of Dundee in the United Kingdom. He has a B.Sc with honors from the University of the West of Scotland, UK. Dr. Bruno is author on more than 8 published manuscripts, reviews, and abstracts. A select list of journal articles can be viewed here on myNCBI. Broad background in biology with experience in molecular biology, plant metabolic engineering, and volatile signaling. Dr. Ravikumar is an investigator at MMR conducting preclinical models in skin inflammation with gene expression analysis. Areas of expertise include: RNAi and ectopic overexpression for functional characterization of proteins; targeted metabolic engineering; metabolomics, and microbial bioreactors. 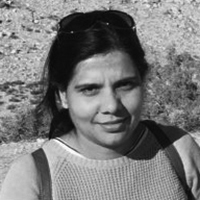 During post-doctoral research in Indian Institute of Science she studied the role of an important transcription factor “LEAFY” in rice that is responsible for transition of main growth axis to floral meristem. Her doctoral research at Indian Agricultural Research Institute involved characterization of fatty acid chain length determining genes viz. Fatty acid elongase and thioestearse in mustard cultivars. As a young scientist in a nonprofit research organization in India she won young scientist grant from International Foundation for Science, Sweden and two research grants from Department of Biotechnology, India. The outcome of these projects has significant applications for society including: increasing oil content in seeds for food and biodiesel applications; developing functional foods by fermenting fruit with probiotics; and characterizing chemical signals that plants produce for defense against insect attack. She was an active participant in field efficacy studies and data compilation for EPA approval of a plant protection agents. Dr. Ravikumar spent some time as a freelance writer and one of her e-books can be found here on Amazon. Dr. Ravikumar is author on more than a dozen published manuscripts, reviews, and abstracts. A select list of journal articles can be viewed here on Google Scholar. Activation of innate immune cells induces the expression of inflammatory cytokines, chemokines, enzymes, and adhesion molecules that play a critical role in the natural response to both infection and tissue injury. Under normal circumstances, inflammation is tightly regulated and resolves once the infection is cleared or the tissue is repaired. However, uncontrolled and excessive inflammation leads to the development of diseases. Dr. Kang’s research is focused on understanding the cellular and molecular mechanisms of the dysregulated inflammatory response that lead to disease. This understanding is essential for his development of new therapeutic options. Prior to joining MMRI, Dr. Kang was a senior research associate and then assistant professor of immunology at the Scrips Research Institute in La Jolla, CA. He was an assistant project scientist at Moores Cancer Center at the University of California at San Diego and was a postdoctoral fellow at Stanford University. He received his M.S. and Ph.D. degrees from Seoul National University and his B.S. Sogang University, Seoul, Korea. B.S. Biology, Department of Biology, Sogang University, Seoul, Korea. 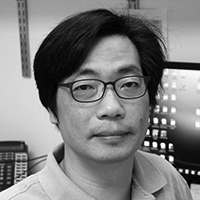 Dr. Kang is author of more than 30 published manuscripts, reviews, book chapters, and abstracts. A select list of journal articles can be viewed here on myNCBI. International:Young Jun Kang and Jiahuai Han (2008). 4-1BB ligand in inflammatory diseases. PCT/US2007/022103.Hyo Jeong Hong, Sung Sup Park, Young Jun Kang, Sung Kwan Yoon, and Chang Yuil Kang (1999) Humanized antibody specific for human 4-1BB and pharmaceutical composition comprising same. PCT/KR99/00689. Dr. Fraley has 15 years of post-graduate experience in the fields of biochemistry, enzymology, and bioenergetics as well as microbial genetics and physiology, and molecular biology. His current research is directed to elucidating novel mechanisms of intracellular energy metabolism in various disease states. Dr. Fraley worked for over 7 years in the laboratory of Arthur Kornberg, Nobel laureate, in the Department of Biochemistry at Stanford University and prior to that was a member of the Department of Microbiology and Immunology at Stanford University for 11 years. He received his Ph.D. in Engineering (Microbiology) from Stanford University and continued his postdoctoral fellowship in the Department of Biochemistry at Stanford. Dr. Fraley is author on more than a dozen published manuscripts, reviews, and abstracts. A select list of journal articles can be viewed here on myNCBI.